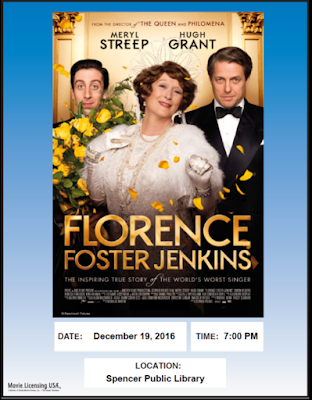 We will be showing Florence Foster Jenkins starring Meryl Streep and Hugh Grant for our December Adult Movie. In the 1940s, New York socialite Florence Foster Jenkins (Meryl Streep) dreams of becoming a great opera singer. Unfortunately, her ambition far exceeds her talent. The voice Florence hears in her head is beautiful, but to everyone else it is quite lousy. 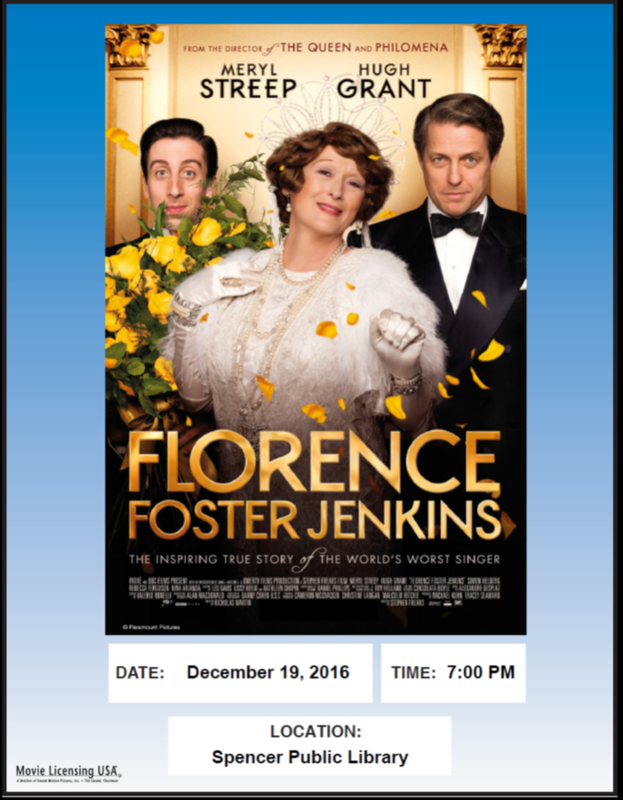 Based on a true story, Florence Foster Jenkins is a superbly acted drama.